The Colorado delegation voted along party lines to elect a new House speaker, we are reporting without any shock whatsoever. Democratic U.S. Reps. Diana DeGette, Jared Polis and Ed Perlmutter threw their vote away on California liberal Nancy Polis, while Republican Reps. Scott Tipton, Doug Lamborn, Ken Buck and Mike Coffman voted for the right guy, Paul Ryan. I don’t always get to vote twice in one year for #SpeakerElection. but when I do, I vote @NancyPelosi. Tipton praised Ryan’s dedication to advancing the free market and small government, which Pelosi and Democrats oppose, as well as conservative principles. “We have a great deal of important work ahead of us in the House, and we have the best chance to make progress in the fight to shrink the size of government and restore American prosperity if we are united and work together as a Republican Conference,” Tipton said. It’s important to note the key phrase here, “Republican conference,” because the GOP holds the majority in the House, so they get to elect a leader from their own party. Clueless liberals however don’t understand how our government works, and were outraged that a Republican would not vote for a Democrat to lead the GOP caucus. We’re going to go out on a very short limb, and guess that these are the same groups who will be backing Morgan Caroll against Coffman with the expectation that Caroll would vote for Pelosi. Interestingly, Caroll refuses to even say whether she would back Pelosi. Stay tuned. How depressing; might as well have kept Boehner. Mise well have Pelosi in there. 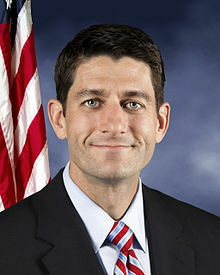 Paul "Eddie Munster" Ryan just going to follow in John Boehner's foot steps.